We’ve been passing on plenty of information and details for the Samsung Galaxy S4 that was formally debuted last week at a special press event. Due to release in April this is, as its number suggests, the fourth in this iconic phone lineup that has met with phenomenal success that just seems to be growing and growing. We thought it would be interesting to take at look at how the Galaxy S phones have progressed over the years, from the original S right through to the new Galaxy S4 launch. 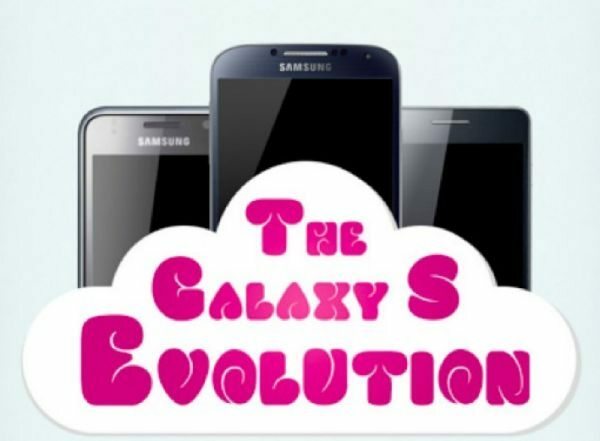 With that in mind we have a great infographic that you can view above that shows the evolution of the Galaxy S series. It’s a fascinating look at the advances that have been made and numbers sold for each iteration. First off we see the original Samsung Galaxy S, launched in 2010 and as far as specs are concerned this had a 1GHz Cortex A8 chip, 4-inch Super AMOLED display, 5-megapixel rear camera with autofocus and ran on Android 2.1 Ã‰clair. By the time we got to the Samsung Galaxy S2 released in 2011, the new specs included a 1.2GHz dual-core ARM Cortex A9 processor, 8-megapixel back-illuminated rear camera, 4.3-inch AMOLED display and it ran the Android 2.3 Gingerbread operating system. On to the Galaxy S3 of 2012 and this had a 4.8-inch Super AMOLED display, 8-megapixel rear camera and ran Android 4.0 Ice Cream Sandwich. Finally we come right up to date with the Samsung Galaxy S4 and its 1.6GHz Exynos 5 Octa core processor (or 1.9GHz Snapdragon quad-core for some regions), 4.99-inch Super AMOLED full HD display with 441 ppi, Android 4.2.2 Jelly Bean, 13-megapixel rear camera, 2GB of RAM and new features including eye tracking technology. As far as sales are concerned the original Galaxy S sold 20 million units, the Galaxy S2 sold 28 million in less than a year and the Galaxy S3 sold a massive 50 million by March 2013. Sales of the Galaxy S4 remain to be seen of course but they are bound to increase further still. The final touch of the infographic is a map that shows us that the Galaxy S4 smartphone will be sold in over 150 countries worldwide. You may also be interested in an earlier post with an infographic purely about the S4 (see here). Today’s infographic is an intriguing look at the advances of the Samsung Galaxy S line over the last few years and we’d be grateful if you could share your thoughts with us by sending us your comments. Are you planning on purchasing the Galaxy S4 when it finally reaches shelves in April? Does anything on the infographic surprise you? Let us know with your comments. With Samsung’s decision to provide much of the new S4 software to my Note 2. In due course, I won’t feel desperate to switch to a later model before my 2 year contract is complete, but I will then feel very inclined to get the next Note or S model from Samsung.